Are you parents apprehensive when it comes to leaving your child in the care of a teenager? Babysitters may not know everything about how the household functions, but by discussing these topics with them, they will feel confident and comfortable while taking care of your children. That in turn should help you to feel more at ease when leaving your children in their care. Where you are going and how to reach you at all times. Simply knowing where you are and how to reach you will give a sitter a sense of confidence in knowing you can be reached if needed. When you expect to be back. This helps the sitter in planning activities and entertaining the children and makes it so that what time you come back is not a guessing game. General house rules and routines. Include any limits on TV, computer use, video games, playing outside, etc. This gives the babysitter an idea of how the household works so that children aren’t taking advantage of him or her. What meals and snacks to feed the kids. Although you may show the babysitters where the food is, some may feel apprehensive about what food they should use. Give ideas about what to feed your children. Let them know if the children have any allergies or medical issues. If these issues could occur while the babysitter is around, make sure to write down how to handle them properly. What to do If the child needs discipline. Let the sitter know your disciplining practices. This way the children don’t get mixed messages when you aren’t around. Specific hints for individual children. Let the sitter know special things the children love, things that calm them, activities they enjoy doing, etc. Expectations you have for the babysitter. Discuss such things as leaving the house with your child, driving with your child, whether the phone and visitors are off limits, etc. Emergency information. Let them know under what circumstances to call 911 before contacting you. Write down the phone number and address of your home. Make a list that includes neighbors, friends, relatives and your doctor. Safety rules. Not all sitters may know basic safety of children. Discuss such things as choking hazards, water hazards, electrical hazards, being left alone, answering the door, etc. 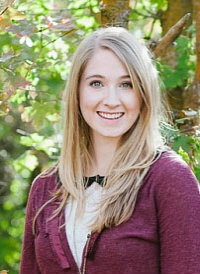 Shayna Savage is a Utah State University family and consumer science intern in Salt Lake County. She is currently majoring in family and consumer science education at Utah State University. One of her creative skills is teaching kids and adults to sew. She is conducting two 4-H Savvy Sewer Camps this summer.